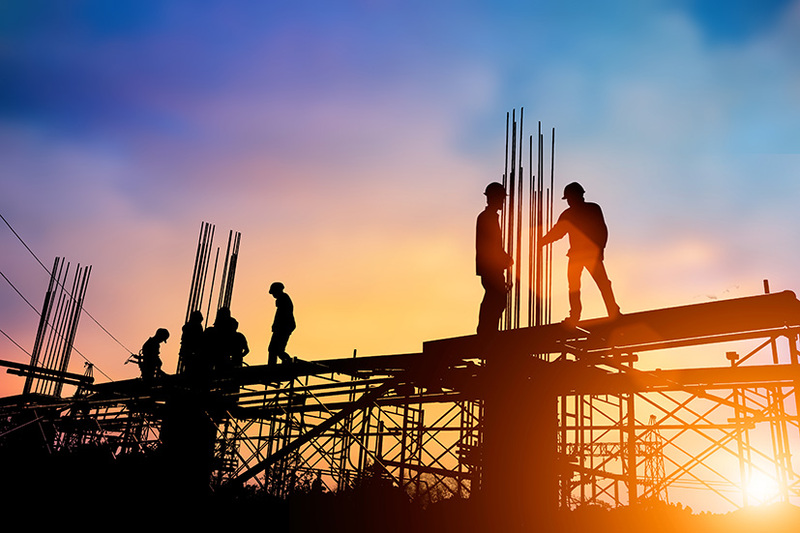 Construction companies suffered a loss of momentum with business activity growth easing to its weakest for ten months, according to the seasonally adjusted IHS Markit/CIPS UK Construction Purchasing Managers’ Index. The industry has suffered the slowest rise in business activity for ten months with commercial work remaining the weakest performing area. New orders increased only marginally at the start of 2019, which contributed to the slowest expansion of employment numbers for two-and- a-half years. A number of survey respondents noted that Brexit uncertainty had led to hesitancy among clients and a corresponding slowdown in progress on new projects. The headline seasonally adjusted IHS Markit/CIPS UK Construction Total Activity Index dropped to 50.6 in January, from 52.8 in December. The index has posted above the 50.0 no-change mark in each month since the snow- related decline seen in March 2018, but the latest expansion was the weakest seen over this ten month period of growth. All three categories of construction output recorded weaker trends than those reported in December. Residential work was the strongest performing area, although the latest expansion was only modest and the slowest seen since March 2018. Civil engineering activity increased marginally, with therate of growth much so er than December’s 19-month high. Commercial work was the weakest performing area of construction output in January. Latest data indicated a decline in work on commercial construction projects for therst time in ten months. Anecdotal evidence suggested thatBrexit-related anxiety and associated concerns about the domestic economic outlook continued to weigh on client demand. Tim Moore, Economics Associate Director at IHS Markit, which compiles the survey says:“UK construction growth shifted down a gear at the start of 2019, with weaker conditions signalled across all three main categories of activity. Commercial work declined for the first time in ten months as concerns about the domestic economic outlook continued to hold back activity. The latest survey also revealed a loss of momentum for house building and civil engineering, although these areas of the construction sector at least remained on a modest growth path. “Staff recruitment slowed to a crawl in January, with construction firms reporting the slowest rate of job creation since July 2016. Delays to client decision- making on new projects in response to Brexit uncertainty was cited as a key source of anxiety at the start of 2019. Dffiiculties converting opportunities to sales were reflected in a slowdown in total new business growth to its lowest since last May. Previous articleIs there a perfect storm brewing for UK manufacturing?